SAVE 10% on EVERY DeLite Eyepiece ! 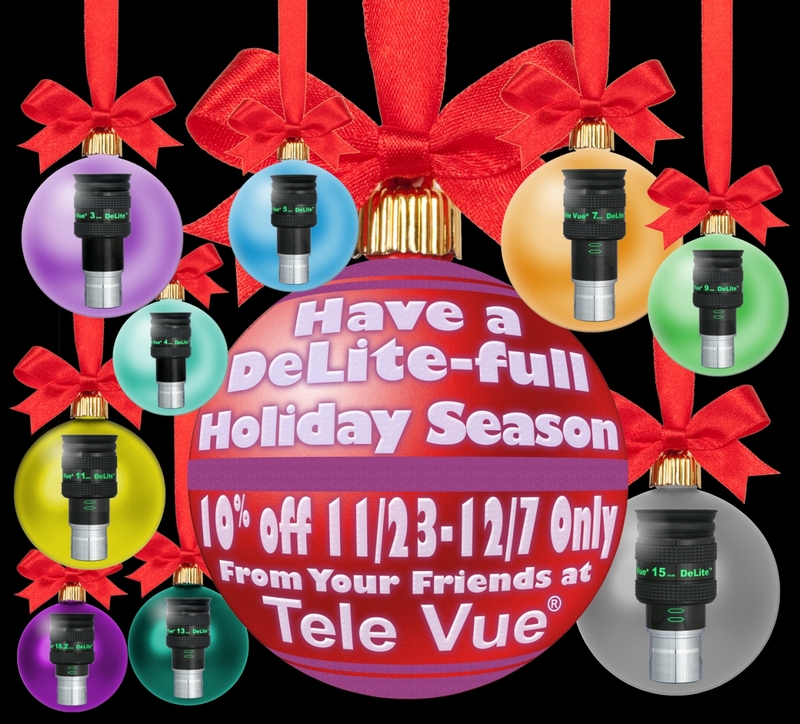 Tele Vue is wishing you a “DeLite-full” Holiday Season with a SALE on the acclaimed DeLite series of eyepieces. “The DeLite eyepieces deliver a fantastic image, free from aberration and very crisp — exactly what a good eyepiece should do” – Sky at Night. Exceptional performance is expected from Tele Vue and DeLite eyepieces deliver! 62° of high-contrast, tack-sharp images will DeLite your amateur astronomer with every view. Mix in 20-mm eye relief with a quick adjusting and locking eyeguard, compact size for our Bino Vue, compatibility with DIOPTRX™ and FoneMate™ , and light weight; it’s no wonder Astronomy wrote, “Tele Vue has once again created a line of all-around excellent eyepieces…The DeLite line should be on your must-view-through list.” In the crowded class of 60° eyepieces, the DeLite is in a class of its own. Take advantage of Holiday Sale Savings valid while supplies last. Please visit your Tele Vue Dealer today! Every Tele Vue eyepiece is visually tested at f/4 to ensure the sharpest full field possible. It is the nature of optics that being the best in fast scopes also always assures the best performance in “slow” scopes. The finest performance requires the finest materials such as high index lanthanum and fluorite type glasses, in some cases costing up to 15x more than ordinary glass types. At Tele Vue we ask “how can we make it better”, rather than “how can we make it cheaper.” We think you’ll agree that the views are worth it. Every eyepiece is fully multi-coated, has blackened lens edges and anti-reflection threads for maximum contrast. Chrome plated barrels, which resist scratching and marring better than black anodized barrels, include safety undercuts and threads for filters. Upper barrels are black anodized aluminum with a rubber grip ring, engraved identification, and fold down rubber eyeguards. See Dealer list on Tele Vue website (mobile site). See DeLite eyepieces on Tele Vue website (mobile site) for more info. 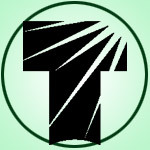 Tele Vue Limited Lifetime Warranty on Eyepieces, Barlows, and Powermates.